Mia Rose has spent her entire life learning how to hunt Gwyrach, women demons who can manipulate the bodies of others and who happen to be the cause of her mother’s death. But her plans for the future are abruptly changed when arrangements for her marriage to the crown prince are put into place; they’re changed yet again when the wedding goes wrong and she finds herself on the run armed with new knowledge of herself and the crown prince at her side… I honestly didn’t remember the entire plot of this novel when I went into it, but I think that worked out well since I went into Heart of Thorns with no expectations. This novel does bear a lot of the hallmarks of fantasy tropes (forbidden/evil magic, power plays and court intrigue, a journey or quest for answers and/or escape), to name a few). But Barton’s take on them interested me, and I’m actually quite curious to see how things will play out. I do wish that the initial set-up chapters were less jarring, and that I’d connected more with the characters. But overall, I liked it. I think it’s a fun new YA fantasy read to check out (and I also finished it in one sitting, which says a lot about the writing itself). 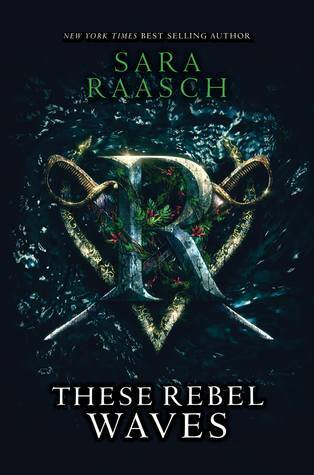 These Rebel Waves is the start of a new fantasy series by Sara Raasch (who also wrote Snow Like Ashes, of which I’ve only read that initial book). It follows three different perspectives - Adeluna (a child soldier of the revolution that helped Grace Loray overthrow its Argrid oppressors and who will do anything to make her home the peaceful haven she believes in), Devereux (a pirate outlaw who steals magical plants to sell on the black market who ends up working together with Lu to figure out how to stop the war), and Benat (the crown prince of Argrid who has been given the task of working with the forbidden botanical magic that fascinates him in order to show it can be used for good). Circumstances will draw all three together, and they are each forced to confront the same questions of their identity and what they’re willing to do for peace. If the plot already sounds a little convoluted in my summary, well, it is and my feelings about it are as well. On the one hand, I was interested in the actual plot, both in the overarching story sense and for each individual character thruline. But I wasn’t overly enthused about the writing style, and I found the world-building jarring and a little confusing on the whole. I’m not entirely confident in recommending this YA fantasy in the general sense. But if the plot piques your interest, I’d say to at least give it a shot! Sylvianna has always known that her brother, John, is cruel. But when his cruelty extends towards trapping her in an arranged marriage, Sylvie decides to take her fate into her own hands and runs away with her best friend Bird to live in the woods. They end up crossing paths with other folks from the village who need a safe haven and wind up joining them. As their community grows, so does the desire to do right by those who deserve better. Sylvie soon finds herself heading up the movement to overthrow those corrupt folks in power, no matter what it takes. 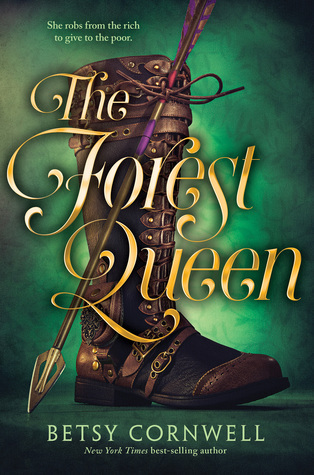 I was intrigued when I first heard about The Forest Queen, mostly because I wanted to see this author’s take on the Robin Hood legend. It was fun to see all the familiar elements woven in, characters included (though many have been made female, which I really enjoyed). The story does move along at a fast pace, which made for easy reading but also prevented me from getting fully invested in the characters and their personal growth. While I don’t necessarily think it’s my favorite retelling I’ve ever read, I will say that it was ultimately enjoyable. I had such high hopes for These Rebel Waves and was a bit disappointed. I agree that the worldbuilding was a bit jarring but I liked what we saw. I wish we didn't have to learn about the six previous years through info dumping. Bleh. 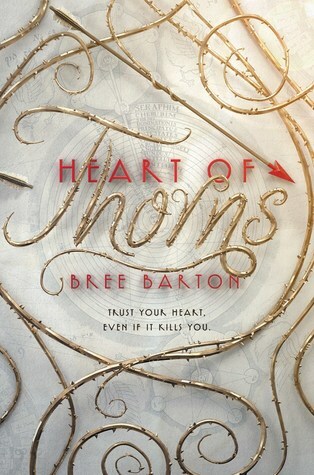 You've really piqued by curiosity for Heart of Thorns because those are my absolute fave tropes. Gah. I'm sorry that all of these books were a bit meh :\ I wish it was possible to love all the books we read, haha :D Lovely reviews, though. <3 Thank you for sharing love :) I haven't read any of these, haha.